Since September 2000, Joanna R. Swauger has been providing comprehensive family medicine services to the West Newton, Rostraver and Belle Vernon communities. She received her bachelor's degree from Washington and Jefferson College and her medical degree from the Philadelphia College of Osteopathic Medicine. 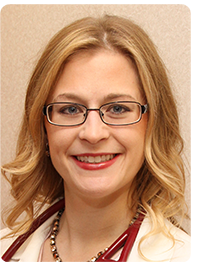 A native of Butler, Pa., Dr. Swauger completed her post-graduate residency at the Western Pennsylvania Hospital in Pittsburgh (now West Penn Hospital) and served as chief resident in her final year there. She also served on the Graduate Medical Education Committee bringing Temple University to the program. Dr. Swauger is a member of the American College of Family Physicians, the Pennsylvania Osteopathic Medical Association and the Pennsylvania Osteopathic Family Physicians. She was active with the Rotary in West Newton for several years before her office relocated to the Rostraver area. 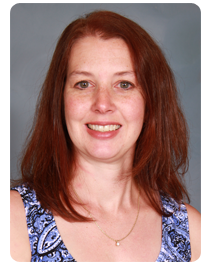 Dr. Swauger and her husband, Eric, have two daughters who attend the Yough School District, and have been active in the soccer and softball programs. Dr. Swauger is affiliated with Monongahela Valley Hospital. Office hours are by appointment. Call 724-379-6850. The Joanna R. Swauger D.O., Personal Patient Portal is an online application that enables you to securely exchange medical information with our staff via the Internet. During your visit with Joanna R. Swauger, D.O., ask a member of our staff to give you access to the portal or simply call 724-379-6850 for private access.